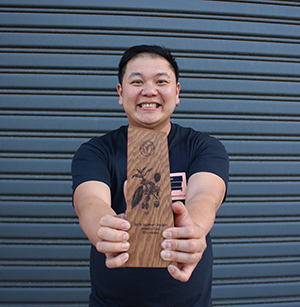 Devin Loong of Ona Coffee has won his second Australian Specialty Coffee Association (ASCA) Southern Region Brewers Cup Championship. 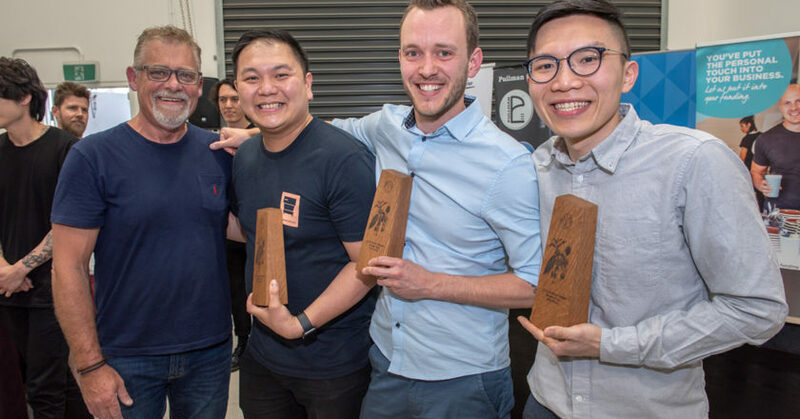 David Train of Code Black Coffee placed second and Shen Choy of Cote Terra Coffee Roasters placed third in the competition, held at Criteria Coffee in Melbourne. Devin used a carbonic maceration processed, natural Ethiopian heirloom Indigo 0718, sourced from Project Origin. For his winning brew, Devin used his famous “Loong Pour” technique – a V60 pour over with long pours (total 200 grams of water) to achieve a balance of acidity , sweetness and strength. His first pour or bloom regulates the balances of these different aspects of his brew. To finish, he made one long pour for around 40 seconds. “It has beautiful notes of violet, grape and red apple with acidity and sweetness,” Devin says. “My strategy going into today’s competition was to connect with the judges with my coffee. I chose and easy brew method and tried to demonstrate that it’s the sort of coffee you can brew at home and still achieve a delicious result – it’s also served at Ona Coffee Marrickvile in Sydney. Devin used the coffee’s indigo colour to connect the judges to its flavour. The judges praised Devin’s professionalism and ability to take them on a journey. “One of the judges told me it was faultless, so I’m pretty happy with that feedback. Despite the microphone dying mid-way through my routine it all worked out in the end,” Devin says. Devin will compete in his sixth Australian Brewers Cup Championship in February, taking place at the Melbourne International Coffee Expo. After five national championship wins and two World Championship attempts (2014 and 2016), Devin admits he still gets nervous on competition day, but he knows what to do in preparation for the months ahead. One Coffee is serving the same Ethiopian coffee, roasted for filter, in its CM Selections Tasting Flight, used by several competitors in the Australian Brewers Cup finals in March, 2018. The CM Selections Tasting Flight is available in limited quantities via the Ona Coffee online store.